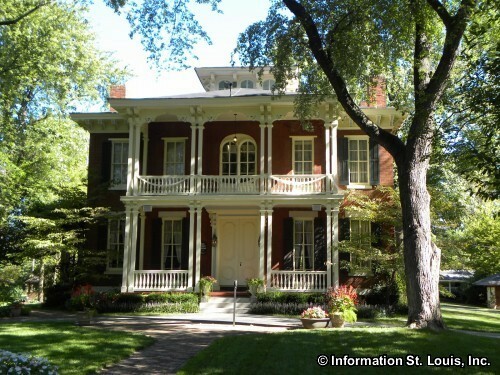 Missouri historic places can be found through out the City of St. Louis, as well as the surrounding counties. Soulard Farmers Market is an example of an historic structure in the city because it is the lone survivor of all the farmers markets that used to be found through out the city. The Sandy Creek Bridge in Jefferson County is a historic structure because is one of only four covered bridges that still remain in Missouri. An example of a historic building on the National Register of Historic Places is the Larimore House Plantation, a two-story brick Italianate home located in Spanish Lake in North St. Louis County. Then there are historic locations such as the many "historic districts" in the area. One of them is the Cherokee-Lemp Historic District, called a "Street Museum" and home to the Lemp Mansion, the Chatillon-DeMenil Mansion and the Cherokee Street Antique Row. What makes a building, structure or location "historic"? For the purpose of our list, we had several questions we asked. Did the location, structure or building have "history" happen there? Was the owner or a resident of the location, structure or building important to St. Louis history? Or was the location, structure or building itself important to St. Louis history? Has it been placed on the National Register of Historic Places and/or recognized as a St. Louis area "landmark"? Is it a museum highlighting some time period, person or place in St. Louis history? Below is a list of more than one hundred historic places that can be visited in Missouri. Some are free, others charge an admission fee and still others are private and can only be viewed from the street or by the owner's permission (please be courteous). Spend a day visiting one or plot out an entire of day of historic places to visit! Enjoy! We did!